After some time of trying, I, Zennie Abraham is Officially YouTube Certified In Channel Growth! This means that I can serve as a consultant and help other YouTubers grow their channel. I have been on YouTube since April of 2006 and amassed over 14,000 videos. I have taken my audience everywhere from YouTube Meetups to the NFL Draft to CES Las Vegas and WonderCon and San Diego Comic Con and many tech events. I have interviewed almost every Oakland elected official of consequence over the last 13 years. 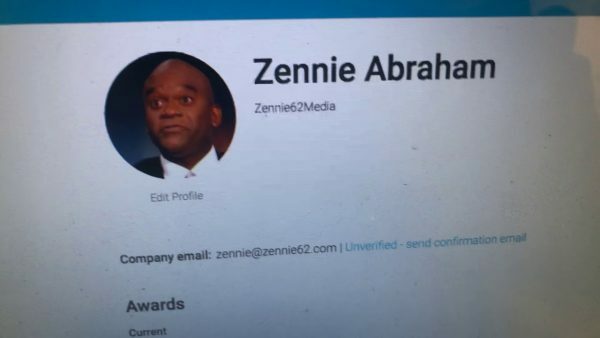 You can track historic change in our society via Zennie62 on YouTube. And now, fittingly, I am YouTube Certified! Be the first to comment on "Zennie Abraham Is YouTube Certified In Channel Growth – Vlog"